Japan is, more than anywhere else in Asia, somewhere that it's worth making the extra effort to visit wholly vegan restaurants, and even to plan a day sightseeing around meals. Staff at Most Japanese restaurants won't have any understanding of veganism, and even if they do few will be willing to adapt menus, making it virtually impossible to dine at 'normal' restaurants in Japan, and fortunately in Tokyo it's not necessary. Also, for many vegan restaurants in Japan, foreigners make up a significant proportion of customers, and given that few new vegan restaurants in Tokyo survive longer than a year, that extra time you spend may just make a difference to a restaurant staying in business or not. It's tragic how many former vegans start making "compromises" or become "flexible" in Japan, and I hope this page will make it that bit easier not to. Restaurants come - and, unfortunately, close - faster than I can keep up with, however I try to keep the most important restaurants for short-term visitors her. So please use the Happycow Android App to find nearby restaurants. I recommend keeping it set to vegan, as these restaurants are generally the best (even for vegetarians). As a nation Japanese are probably the most honest in the world, and it's rare to find vegan restaurants serving animal products, but of course it's always a good idea to keep an idea out for animal ingredients, especially fish products. 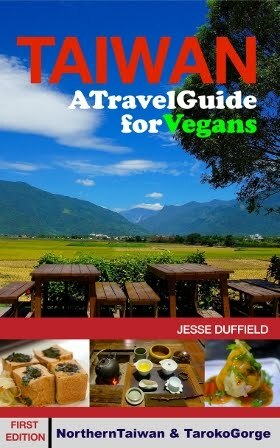 In this post I aim to summarise the most popular vegetarian restaurants to foreign travellers, mostly by location. Categories of food are intended to be useful rather than definitive genres of food. Locations are likewise: they can be anything from a station to a city. This page is always a work in progress. Please feel free to comment if you think I have missed something or something is out of date. Prices include a drink and dessert if it would be normal to have one at such a meal. * = exceptionally good food worth adding to your list. Okada Bldg 2F, 1-54, Kandajinbocho, Chiyoda-ku, Tokyo, 101-0051 Directions on Loving Hut page . While smaller than most Loving Huts around the world (a reality in a country in which very few people would ever consider visiting a vegan restaurant) the Tokyo Loving Hut serves a delicious a la carte menu and a great buffet on Saturday afternoons, which is in my opinion the best-value meal in Tokyo at 1500 Yen. See my featured article of the Loving Hut here. They do a lot of vegan catering for events, and run cooking classes, so their hours change frequently, so it's always best to check their calendar here (scroll down) or call them on 03-5577-6880. The Loving Hut has long been one of my favourite restaurants in Tokyo. It can look nicer than this, but however it looks, this 1500 Yen buffet (Sat only) is Tokyo's best-value meal. Inside the ticket gate of Tokyo Station. Follow directions to Keiyo Line -> Keiyo Food Street. When you're passing through Tokyo Station (eg for a Shinkansen ride, or for the Narita Express to or from Narita Airport) be sure to enjoy a bowl of ramen from T's Tantan. It will probably the only place you'll find it vegan, since elsewhere in Japan the broth is virtually always made with fish flakes (called dashi) and perhaps other animal stock powders, though chefs at most restaurants won't think of this when they offer it to you in the same conversation that you explain you don't eat fish. T's Tantan promote veganism to their mostly non-vegan clientele in a gentle but powerful style with symbols and phrases (curiously in English) all over the walls, leaving diners with no doubt that they are enjoying a plant based meal. It's inside the ticket gate (but not the Shinkansen gate), so don't exit the station. Head towards the Keio Line, and then Keio Street (an underground food "street"). If you happen to come from outside the station (which seems unlikely) you'll need to buy a ticket into the station. While they clearly aim to serve vegan versions of trusted traditional Japanese favourites to non-vegan passers-by, their menu is always expanding, and I particularly like their authentic Thai Massaman Curry (summer only)! They have also added soy pudding (better than it might sound) on weekdays (lunchtime only). Walk clockwise around the ATT Building and follow signs and stairs from the back. 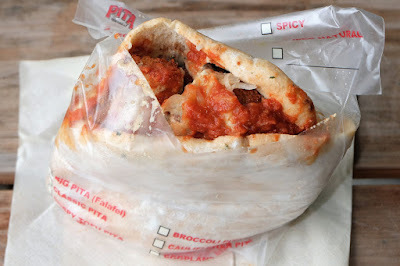 Pita the Great's pitas taste better than they look. Pita the Great is run by a friendly, eccentric Israeli man who has been serving up authentic Israeli falafel sandwiches or decades. However, as the legend he is he doesn't need to be friendly because being yelled at occasionally doesn't put his regulars off. Neither does he need to present his food well - a soggy mess still tastes good. Neither does he need to clean his shop, which has flour and peeling paint everywhere. Actually, he doesn't even need to open his cafe at all, since he supplies his famous breads and dips to upmarket supermarkets in Tokyo. While he won't confirm his hours, and doesn't much appreciate calls (which might wake him up when he takes a nap on the floor of his cafe - while it's still open) the word on the street is that he opens most days from 12:00 - 13:00. If you don't find him open there are plenty of other restaurants a short subway ride away. 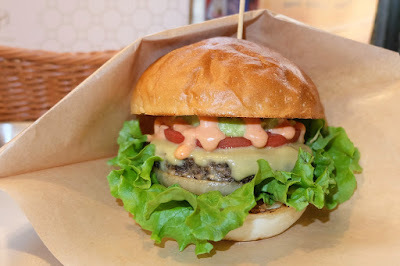 Or if all this seems like too much, there are other vegan falafel restaurants in Tokyo. First there was the Vegan Healing Cafe about ten minutes' walk from Shibuya Station, and after it sadly closed its doors Hang Out opened in a more convenient location, with some of the same staff. After its equally sad demise Umi has opened as the go to vegan restaurant for a nice meal out within walking distance of Shibuya Station. Set meals are fairly standard Japanese fusion fare, but good good value at around 1500 Yen for this prime location, and their desserts are excellent. When it's open it's open late. 〒150-0032 Tokyo, Shibuya, Uguisudanicho, 15−10 550m walk south of Shibuya Station. 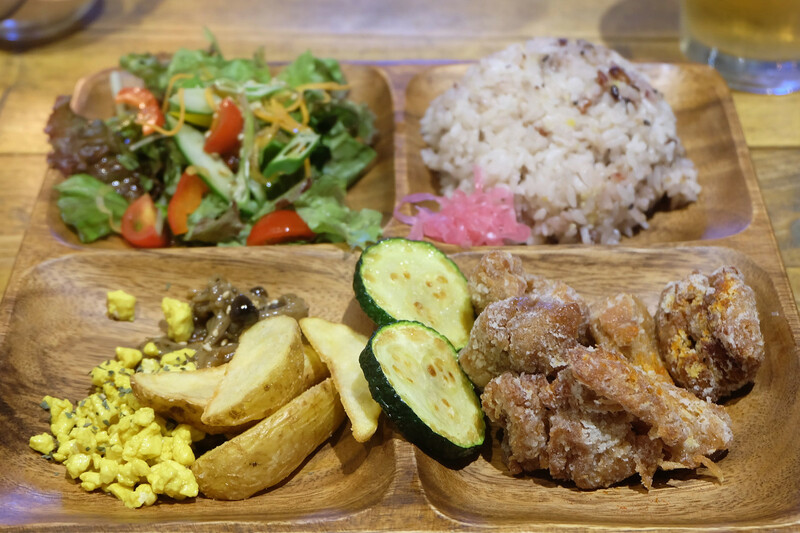 Nagi's lunch sets are among the best value in Shibuya. 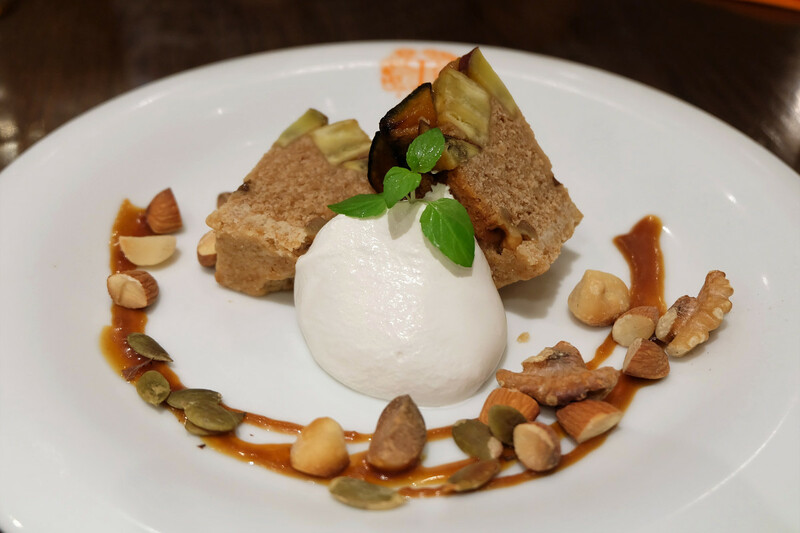 It's clear that the owners of Shibuya newest addition to the vegan scene, Lapaz, are keen on promoting healthy, organic, affordable cuisine. 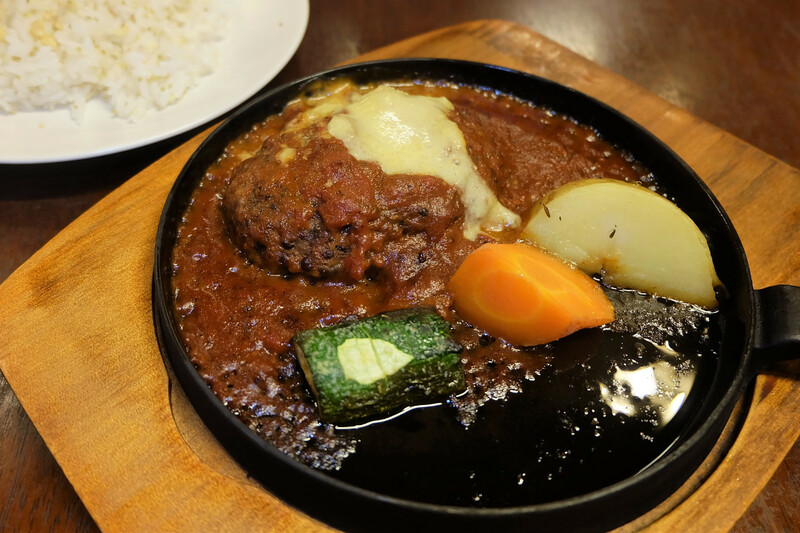 They offer a range of delicious and filling meal sets for around 1500 Yen, and also some sumptuous desserts and baked goods, which can also be taken out. If you have just one meal in Shibuya I would have it here. Kuumba sed to be one of my favourite places to go for a simple, delicious meal near Shibuya, however over the last year or two I've found that the standard has slipped somewhat, and this is confirmed in its recent reviews by reviewers I know and trust. If you're in the area and really want falafel it's worth considering, but I'd make Falafel Brothers a much higher priority. Pita the Great's falafel may be even better, if you strike gold and find it open. For more info see my page of falafel here. If you're hungry after a stroll through Yoyogi Park and/or Harajuku, head to the macrobiotic restaurant Hannada Rosso. While it's a perfectly delicious burger meal offered by friendly and welcoming staff, it's little different to any decent burger you'll eat anywhere, so it's not somewhere to plan to eat at. It's just where I go when hunger kicks in after an afternoon at Yoyogi Park. Also a short hop on the Den-en Toshi line from Shibuya is the Hawaiian-themed, all-vegan Olu Olu Cafe. Delicious, inexpensive Hawaiian / fusion food is served by a friendly couple, in a pleasant, stylish Hawaiian-themed interior. Its vegan owners want to present great food in a friendly, welcoming Hawaiian atmosphere, and they've certainly succeeded in both. This is the place to go for something different in this part of Tokyo, or just somewhere to head for what will likely be one of your best meals in Tokyo. This tiny establishment, run by one friendly and talented chef who also doubles as waiter and dishwasher, and is one of my favourite restaurants in Tokyo. The menu changes daily, but set meals are always fresh and delicious, prices are very reasonable, and the restaurant exudes a peaceful atmosphere. Reservations can only be made in Japanese, so it's best to just turn up and hope for a table, but if you have time it's worth the risk and the walk. 新宿3-8-9 Shinjuku-Sanchome Station, Exit C5. The newest addition to this Tokyo survivor chain is also my favourite. Food is simpler and less expensive than at their Ginza branch, but (being Shinjuku) a little healthier and more upmarket than most vegan fast food in Japan. If you're looking for a good, quick lunch in Shinjuku then this is the place. It's also good for introducing vegan food to non-vegans. This place boasts itself as selling Shojin Ryori, traditional Japanese temple food. Traditionally such food is very expensive (at least 5000 Yen p/p) but an amazing experience, which should be enjoyed at least once while in Japan, preferably in Kyoto. However Komaki Syokudo's sets are surprisingly similar, with the beauty, simplicity and perfection of Shojin Ryori for a fraction of the price, at around 1000 Yen for a basic set. If you're shopping or window shopping in Akihabara then this is the obvious place to come for lunch. While its Happycow location is correct, Komaki Syokudo has all the ingredients of a place hard to find: it's in one of many commercial buildings around a busy hub, surrounded by so many skyscrapers that GPS doesn't always work so well. It's inside the Charbara department store, under the tracks and opposite the UDX building. I forgot to note this down, so please let me know if there is a specific exit number - arigatou! When you enter it's at the far right corner. Komaki Syokudo is in the Chabara Centre. Tubu Tubu is in between Ueno and Shinjuku, and is well worth the visit from either of these (or from Tokyo Station). Somewhat expensive with small portions, it uses millet and other healthy grains to create delicious vegan Italian food. 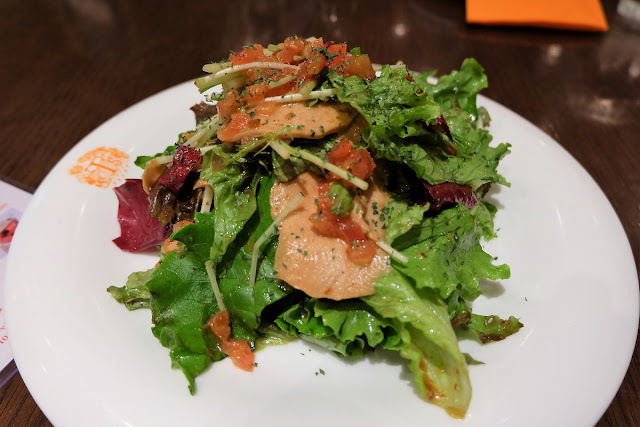 While it recently merged with the cafe Future Food, the restaurant has been operating at this location and with the philosophy for several years, making it one of the oldest vegetarian (now vegan) restaurants in Tokyo. If you're in the mood for spending up, or watching others spend up, head to Ginza, and while there, try a delicious meal from Ain Soph. From 2PM - 5PM on Saturday, and midday to 5PM (6PM April to September) on Sunday the main streets are closed to cars and become pedestrian zones. If you're 'going out' in Tokyo, you're probably going to Roppongi. It's also close to the gaudy old Tokyo Tower, now dwarfed in height (but perhaps not in vibe) by the Shinjuku Metropolitan Government Buildings and of course the new Tokyo Skytree. If you need a quick work lunch, a bite to eat before a night out or just want great falafel from an all-vegan establishment, these brothers offer some of Tokyo's best falafel. There is space for one small group to eat in the restaurant, but you'll need to strike gold to find it empty. 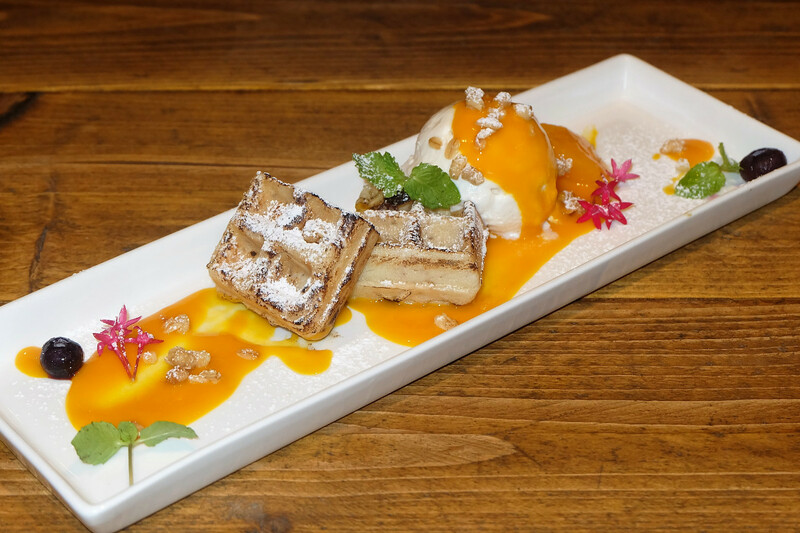 Otherwise Roppongi West Oark is a five-minute walk away (directions from your location). This branch of Chien-Fu, a chain of Taiwanese vegetarian restaurants, is the place to eat in Roppongi. I recommend staying away from fake meats, as they often contain dairy and/or egg and in Taiwan (where many are made) they have been found to contain real meat, but this still leaves plenty of options. Eastern Tokyo, much like most of Tokyo's sprawl, offers little to the traveller, but it's home to one of Japan's oldest Taiwanese restaurants, It's Vegetable, and one of its best Cafes, Sasaya Cafe. Sasaya Cafe is one of Tokyo's top vegan cafes. Located adjacent a pleasant city park (but without much of a view of it) it serves delicious all-vegan food (the odd dish contains honey) in a spacious, mostly wooden interior. Prices are very reasonable, at around 1000 Yen for a simple set meal. They also serve some delicious baked goods, and a natural cola. If you want to hang out before or after visiting the Sky Tree, perhaps while you sit out the wait for your turn to queue, then this is the place to come. This suburban sprawl has many good (mostly small, western/fusion) restaurants, many of which are not far from central Tokyo and are worth the effort to get to them, though I must admit that living in Yokohama it's so far away from here that I rarely do make it there. Tokyo's first raw-food restaurant has been around for years. Located in a pleasant suburb, not far from Mejiro Station, La Table offers a delicious and surprisingly filling raw meal for 2-3000 Yen. It's all vegan except for possibly honey. Deva Deva cafe has been one of Tokyo's most popular and famous vegetarian hangouts for years. There are plenty of vegan options, including some of the best pizzas and burgers in Tokyo. If you're headed to Yokohama (for Chinatown and Yamashita Park, or for the Yokohama anti-fur march, 2017 Vegan Festival) it's best to eat before you come, since there are no vegetarian restaurants in the city. The best option is to stop at T's Restaurant (Jiyugaoka Station) if coming on the Tokyo Toyoko / Minatomirai Line, and Phono Kafe (Kamata Station) if coming on the JR Line. . If you do get stuck for food in Yokohama, the best option is the Indian restaurant Sitar (close to Chinatown). The owner, Kumar (who is almost always there) understands what vegans can and can't eat and he (or his staff) will make sure that your meal is vegan. If you're taking the Shinkansen, Maharaja Indian restaurant (chain) on the 9th floor of Shin-Yokohama Station (Cubic Plaza) does vegetarian dishes (including South Indian food) and the helpful manager is always happy to explain what can be made vegan. T's serve the best salads in Tokyo. T's Restaurant is the owned by the same company as the more-famous T's Tantan, and is in Tokyo but on the way (Jiyugaoka Station on the Tokyu Toyoko / Minatomirai line to Yokohama). It serves excellent fusion cuisine, and is perhaps worth a visit even if you're not on your way to Yokohama. The owner chose to serve food which she liked to eat at home with her family, and given its popularity she's obviously not the only oe who likes her version of healthy fusion cuisine. Note that the restaurant is in the basement, with stairs leading down from the street. Set meals at Phono Cafe are excellent value at around 1000 Yen. Phono Cafe is a charming little a-la-carte restaurant in Kamata (Tokyo), which is easily accessible from central Tokyo and Yokohama. It's close to Haneda Airport, so this is the logical stop before or after a flight. It's a very pleasant and interesting 15 minute walk from Keikyu Kamata Station (a short ride from the airport), mostly along a river and through a quaint little suburb. It may of course be necessary to taxi if coming with luggage, or leave it in a locker. It's closer to Kamata Station (for Yokohama or Tokyo) but not worth changing trains if coming from the airport. Phono Kafe, but it's just a great restaurant in every measure: food is fresh, healthy and delicious and prices are very low for such good food, with some set meals under 1000 Yen. Its pleasant dining area includes western style tables, a small Japanese-style private dining room and bar-side seating. The long-time vegan owner is friendly and helpful, and while the menu is in Japanese, you really can't go wrong with it all being such great vegan food. Language shouldn't be a problem, and if you don't understand just order a set meal. These categories are intended to be useful rather than 'accurate' and in reality the lines are blurred, especially between macrobiotic and western/fusion. There are very few truly Japanese vegetarian restaurants, as the Japanese diet is mostly based around fish. However, this rather empty category includes food which the visitor will probably consider Japanese, from high-end sushi to ramen. The macrobiotic diet is a simple, balanced diet with emphasis on healthy grains (and a lot of deep-fried food). I'm not a big fan of it because I find the dishes sometimes quite bland, and while I know little about it, I trust it's very healthy. It goes back to Hippocrates, but has been practised in Japan for centuries, and remains very popular, especially among health-conscious people. Many macrobiotic places are vegan, but some serve fish products. Most of their desserts are vegan, but it's always best to check. 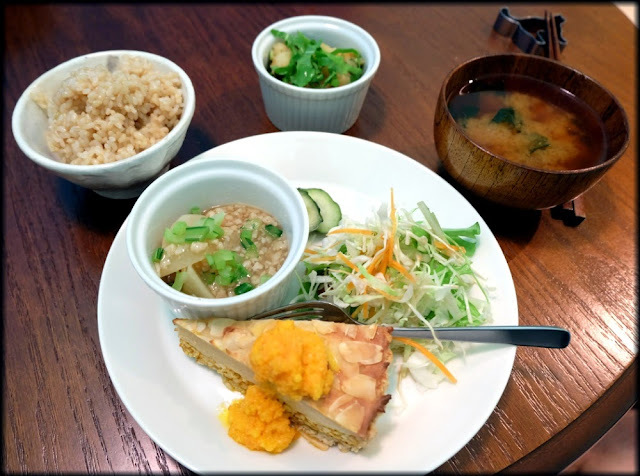 The macrobiotic is very Japanese, but I give it its own category because there are so many, all serving similar food which is so different to other Japanese good. This category includes common restaurants serving food popular with Japanese vegans (or omnivores). It generally includes some Japanese and some western-style dishes (especially salads), but is presented beautifully, Japanese-style, and is not unlike much modern Japanese food eaten all over Japan, especially by younger generations. This section does not include macrobiotic (below), though they often overlap. Don't underestimate raw food, for flavour or health benefits. The best cuisine in the world in my humble opinion, equal with Thai food. Most Indian restaurants in Japan serve North Indian food, and most will have a chef who speaks some English and may be able to make do a vegan dish, though the more I talk to vegetarian Japanese and Indians, and the more they warn me that many places use animal-based stocks in their vegetable curries, the less I trust random (non-vegetarian) Indian restaurants. 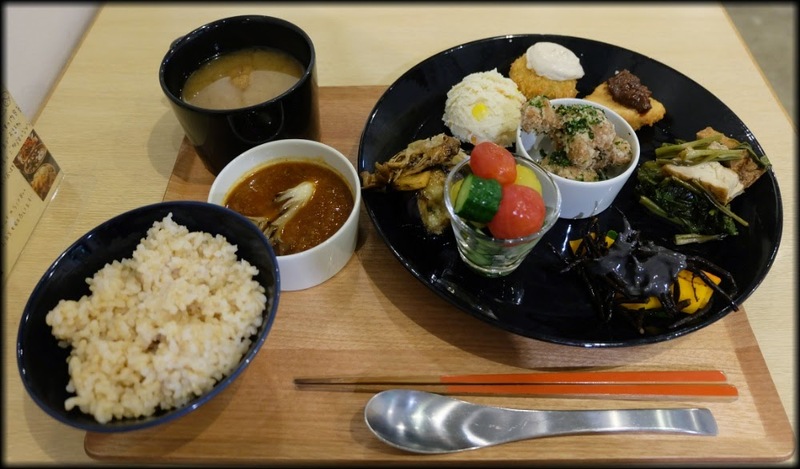 But these vegetarian branches have been around for a long time, and with the exception of Govinda's Edogawa-ku, most have a good understanding of what is vegan, with items containing dairy products clearly marked on the menu. These currently include Taiwanese, Middle Eastern and Italian. This is for when you're tired of small portions and high prices, and just want some calories to send you on your way. Buffets are the way to go. This is the second time I come to Japan, around the Tokyo area, and even though I've been using the Happy Cow listing I still have a hard time finding places to eat out. I'm also looking for some sort of store where I can get vegan food, and actually be sure that is vegan! I'll keep this post for future reference, and again, thank you! Thanks so much for this helpful guide Jesse. My wife and I were in Tokyo a couple of weeks ago and tried so many of the places that you have listed in your article. So handy to have them listed by area... We had a great trip! You're welcome Neil! Thanks for the feedback! Thank you!!! I'm a brazilian girl going to Japan for the first time, and I'll use all your recomendations! There is one missing in the list, I think. My favorite restaurant Devadeva Cafe in Kichijoji. This is a great resource to have. Thanks! I am an Indian and my husband has been given an option to relocate to Tokyo for 15 months. We are vegetarians (no eggs, fish and meat) and have plenty such options here to eat out and buy products from a supermarket. My 14 month old daughter has an allergic constitution and reacts badly to eggs. Can you please share with me how easy it is to get 'pure veg' food from stores there? I would like to have the option of buying some ready made snacks from a super market there. Thank you! I totally agree. I loved DevaDeva when I first came to Tokyo for a holiday, and then I just never made it back out to Kichijoji when I was living in Tokyo, but I always intended to. I'll add it to the list - thank you. Please let me know if you think any others are missing. Congrats on your family being offered a position in Tokyo. I highly recommend it for many reasons, but to be honest availability of pure veg food isn't one of them. But I think you will find enough to get by. Food wise, I recommend the restaurants in my post on Indian food, as none of them should serve any egg at all. In Japan people are becoming more aware of allergies (including egg), so you can probably ask about egg sometimes, but it's not nearly as easy as in India (or Taiwan) where pure veg food (and vegan food in Taiwan) are clearly labelled. And it's very hard to know about other meat by-products which aren't labelled. For snack food, I recommend ordering food from Alishan online or visiting their cafe (see my post under Outings) or buying imported food (including Indian foods I think) from the (expensive) imported foods supermarket National Azabu (see my post on groceries). Many Japanese snack foods (especially traditional snacks which are usually rice based) are actually pure veg (vegan) however Japanese food has so many additives, mostly of unknown origin, that it's very difficult to know what's veg and what isn't, and I doubt companies would know or be willing to help with the origin of their ingredients, especially since they tend to change. But I think you'll be find with snacks from Alishan and National Azabu. I hope you have a great time in Tokyo! You can be amazing experience. Thank you! I've been to Meunota, and need to add it. I'll go to the other ones next time I'm in Tokyo. Please feel free to suggest any more. I try to keep this page updated but it's more difficult now that I no longer live in Tokyo. wow..its amazing.. Vegan diet does not allow any meat, no matter what kind it is.